In the heart of Kentucky, cradled in the foothills of the beautiful Appalachian Mountains, lies Berea, the Folk Arts and Crafts Capital. A unique town with a history steeped in diversity and art, and a bright future in outdoor adventure, sustainable living, and local products, Berea is the perfect place to plan your next visit! 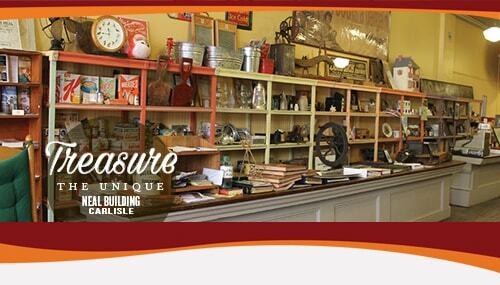 Explore art, encounter nature and craft your experience at VisitBerea.com. 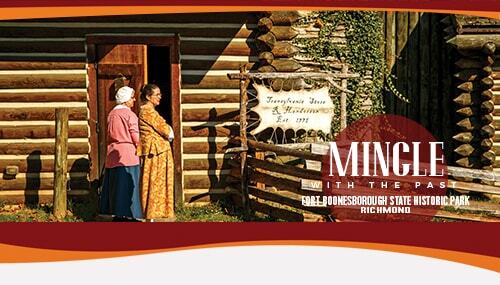 Continue your exploration to Carlisle and visit Daniel Boone’s Cabin, sleep at Historic Forest Retreat Bed & Breakfast built by Thomas Metcalfe 10th Governor of Kentucky and home to the 1954 Kentucky Derby Winner Determine, explore beautiful downtown Carlisle with the Kentucky Doll & Toy Museum, the Neal Welcome Center, unique shops, and one of a kind local dining. 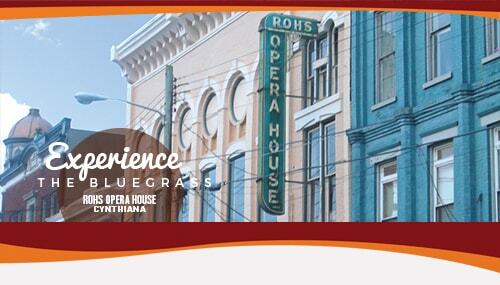 Plunge into our bold history and small-town charm in the birthplace of KY! 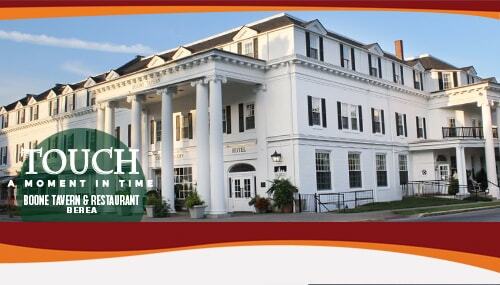 Don't miss McDowell House, Constitution Square, Pioneer Playhouse and Wilderness Trail Distillery. 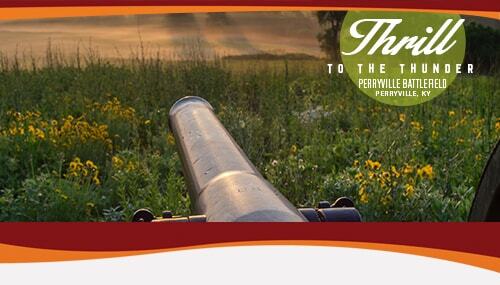 Wander through the Perryville Battlefield and Merchant’s Row and experience authentic cultural offerings including Great American Brass Band Festival, Kentucky State BBQ Festival, Perryville Battlefield Commemoration, and the Soul of Second Street Festival. 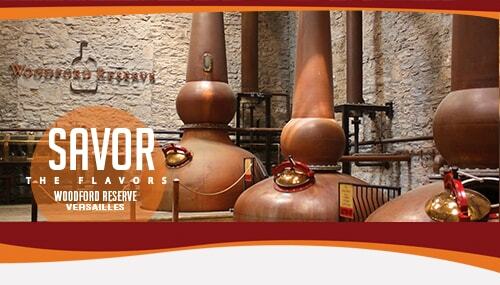 Frankfort, Kentucky embodies the essence of everything that makes Kentucky special, from her natural charm and beauty to her world-renowned bourbon, all in one distinctly small but spirited package. You could say that Frankfort is Kentucky Distilled. Frankfort is the best of Kentucky, the heart of Kentucky, the soul of Kentucky. 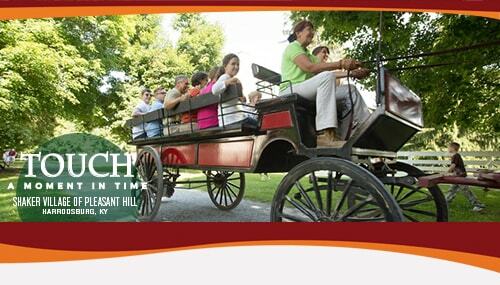 In the heart of the Bluegrass is a small town bursting with charm in the midst of Kentucky Horse Country, Georgetown/Scott County. 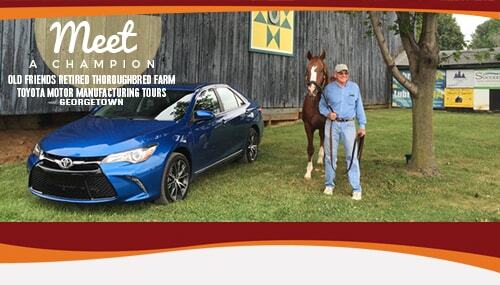 Major attractions are The Kentucky Horse Park; Toyota Motor Manufacturing Tour; Old Friends Thoroughbred Retirement Farm: and a busy, Victorian-era downtown with architectural charm and locally-owned shops, restaurants and craft breweries and distilleries. Kentucky’s first settlement rocks its pioneer heritage! 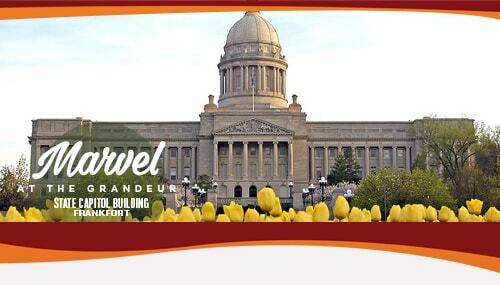 Tour Old Fort Harrod State Park; attend James Harrod: The Battle for Kentucky outdoor drama; discover 3000 acres at Shaker Village of Pleasant Hill; ride the Dixie Belle riverboat; relax at Beaumont Inn; unwind at Bright Leaf Golf Resort; visit Olde Towne Distillery; sample a flight at Lemons Mill Brewery and more! 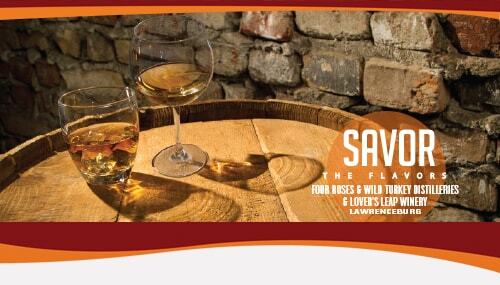 Lawrenceburg is the hub of Bourbon Country, home to both Wild Turkey and Four Roses distilleries, along with Lover's Leap and Rising Sons wineries. Visit historic downtown before stopping at the Healing Field to pay respect to Kentucky service members killed in the war on terror. A foodie haven, the hot spot for hops, whatever it may be, Lexington, KY is for lovers of the good life. Known for being the heart of Bourbon Country and The Horse Capital of the World, this destination will pleasantly surprise you with its thriving culinary, craft beer and arts scene. Turn history into adventure at Jessamine County’s major attractions: Camp Nelson Civil War Heritage Park, the National Historic Monument and former Civil War Union Army supply depot where African American soldiers enlisted to achieve their freedom; High Bridge Park and the magnificent Kentucky River Palisades; US 68 Bike Trail; Taylor Made Farm; Asbury Equine Center; historic First Vineyard Winery; and Chrisman Mill Winery and Vineyards. When thinking of Kentucky History, most of the notable characters have called Richmond their home. We are blessed to be the home of two State Parks, White Hall Historic Site and Fort Boonesborough, and second largest Civil War Battlefield. 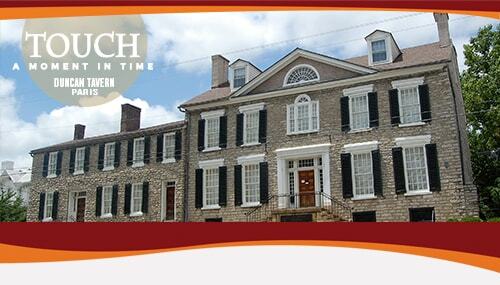 Richmond is a town that history truly does come alive. 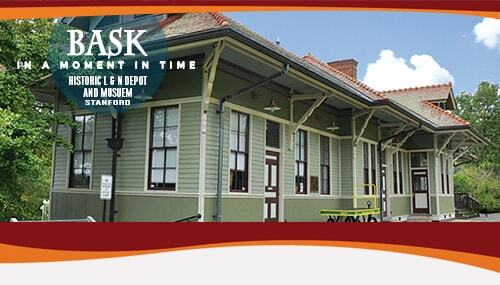 Visiting Lincoln County is like stepping back in time. Not only is our Main Street the oldest in Kentucky, but it’s walkable blocks are full of locally owned shops and southern charm. And, though you are bound to find unique gifts and must- have items downtown, the county offers its own selection of artists and farmers ready to welcome you into their shops and pastures. Known for our picturesque countryside, rock lined fences and love for all things bourbon, wine & bloodlines, Uniquely Woodford County provides an unforgettable experience of life in the Bluegrass. 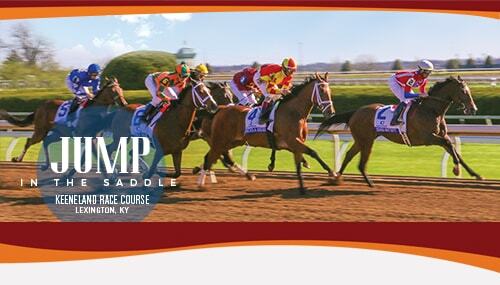 Create your own mini bourbon and/or wine trail with 4 of each within 15 miles and visit champions like American Pharaoh on one of our many nationally recognized horse farms. 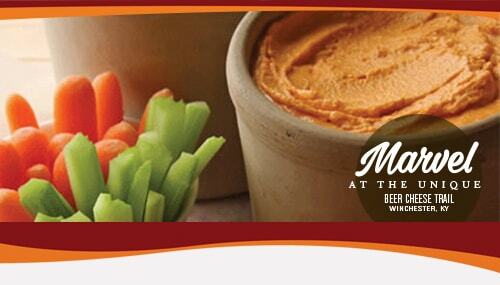 Winchester – The birthplace of beer cheese and home to Kentucky’s official soft drink, Ale8one. 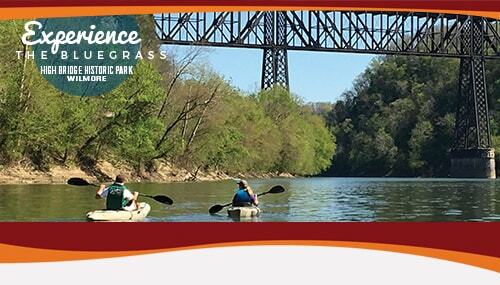 Stroll through our Victorian era downtown, shop in our many boutiques, hike a variety of our trails, canoe the Kentucky River and Conquer the Beer Cheese Trail. 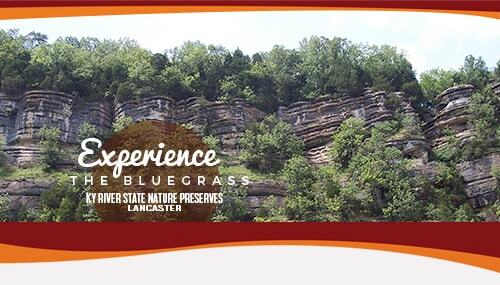 We’re a must-visit community and an absolute jewel in the crown of Kentucky’s bluegrass region.